It is the holiday season again, a time for good cheer, good food – and lots of holiday parties. While a standard holiday party with friends can be a lot of fun, work parties can be really stressful for a lot of people! You have to go, or you aren’t showing sufficient interest in being a part of the company culture. But if you go to the party and overdo it, or go the other way and are a total bore, your behavior on that one potentially fun evening can have very not-fun effects on your career. Most of us already know that immoderate behavior at a work party is not a good idea. But how do you avoid being a bore? Luckily, acing your work Christmas party does not have to be as difficult as many of us believe it to be! The most important thing to remember is that, just like at work, effort is appreciated. Instead of doing the bare minimum, settling for a pair of red pants and a green shirt your dress-up party, put in some visible effort and blow your boss away! 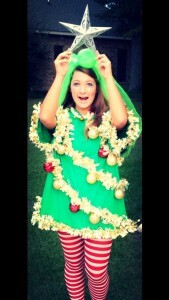 By having fun with a costume themed Christmas party, you do several very beneficial things at once. You impress your boss with the effort you put into contributing to the company culture, you become The Fun One in the eyes of your coworkers, and you have a much better time that you would have had if you had spent the time stressing about making a good impression! That said, you don’t want to make a Bridget Jones of yourself and show up as a tarty elf if you work at, say, a law firm. While office attire is neither required nor, generally, well suited to a holiday work party, there are still some limits to what is appropriate for a social gathering with your colleagues. To keep your costume selection stress-free and fun, enlist the help of a costume expert, like those at Creative Costumes, to help you plan something great! From Dr. Seuss’s Grinch, to a Gingerbread Girl, to the more traditional Santa suit, Creative Costumes is a one-stop holiday costume shop that makes dressing up for a work Christmas party fun and easy for even the busiest of people. Take your costume to the next level by jazzing it up with the appropriate accessories. 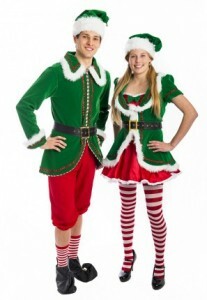 Are you going to be a hard-working North Pole elf this year? Add a dash of body glitter to your cheeks for that extra touch of magic. Do you want to crush some holiday cheer as the old green Grinch? Enlist a work friend, or your date, to dress up as the Grinch’s lovable dog, Max! Definitely don’t forget the duct-taped antlers for Max and to make occasional Grinchy facial expressions or comments. But keep the Grinch out of your mood! Perhaps you are more of a traditionalist and have decided to go the classical route and dress up as Santa Claus. That can be just as fun, and provides an opportunity to win some favor with your colleagues! Either find a red velvet sack online or in the shops, or quickly stitch (or even pin) one together out of a yard of soft red fabric from your local craft store. Fill it with little gifts, like candy canes or individually wrapped chocolates, to hand out to your nice coworkers. Everyone loves a sweet surprise! Even if Christmas isn’t really your thing, or if you don’t celebrate it at all, you can still have a blast dressing up! Bring some Halloween to Christmas with Hollywood inspiration from ‘The Nightmare Before Christmas’! It is a great costume and a wonderful couple’s costume. Plus you will get points for creativity, since most people don’t think that far outside of the box! Don’t be afraid to step outside of gender lines with your costume, either, if you are looking for a more unique dress up idea this Christmas! Even though Santa Claus and Toy Soldiers are traditionally male, they can also make a great woman’s costume. Look for inspiration from all parts of the holiday season, if you want to stand out with a unique, and entertaining costume. Your costume can easily become a conversation starter to help break the ice for networking! Do you love flowers? Dress up as a poinsettia in by wearing a bright red dress or pants and a long sleeved red top. But don’t stop there! Purchase a real poinsettia plant, or a fake one, and cut apart the flowers. Attach the flowers to your clothing with glue, or pins for a less permanent result, and voila! If you are really committed to the idea, make a headband or hat out of the poinsettia flowers, as well! Do you have a quirky sense of humor or a soft spot for the underdog? Pay justice to the long-ignored chimney by dressing up as a chimney this Christmas! After all, you are the key to Santa getting into the house to leave the presents! 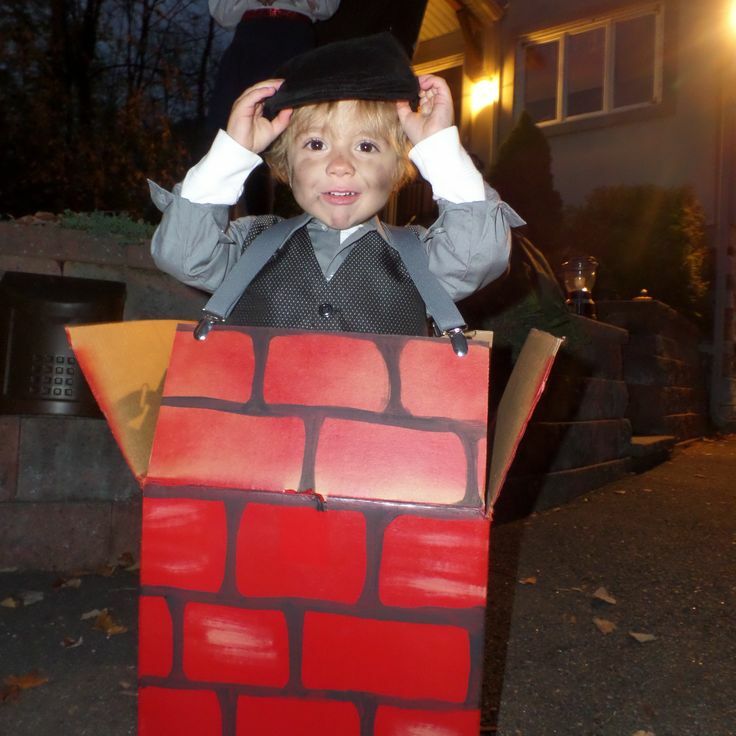 Paint a brick pattern over a large rectangular cardboard box, cut out a head hole and leg and arm holes, and wear it over an all black or gray outfit. You will probably be the only chimney at the party! The main thing to remember this holiday season is to have fun and get into the spirit of the season. 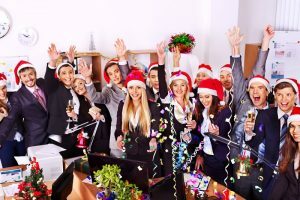 A good attitude about elective work activities, like holiday parties, complements a good attitude about the actual work and will not be forgotten when it is time to consider such wonderful things as promotions and raises! Cheers to that, and have a very happy holiday season!